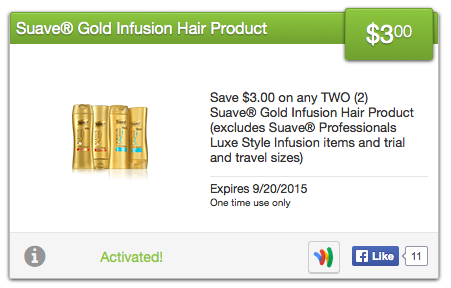 Stock up on Suave Gold Infusions shampoo and conditioner at Rite Aid! The 12.6-ounce bottles are on sale, two for $6.00. Buy four bottles and use two $3.00/2 Red Plum coupons. Find the coupon in the 8/23 insert. Pay $6.00 out of pocket and receive 300 Plenti Points ($3.00) for spending at least $10.00 before coupons. 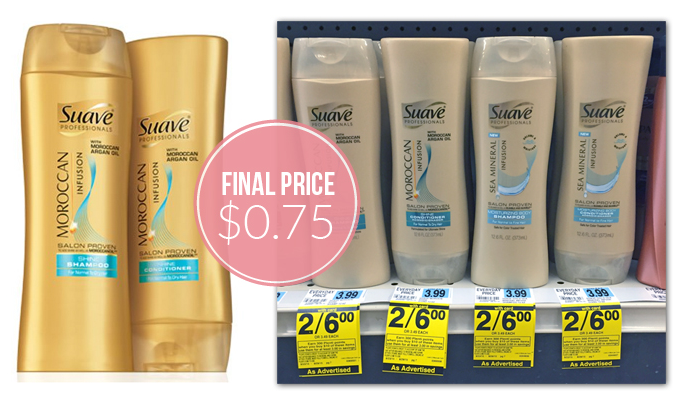 Each bottle will be $0.75! There is also a $3/2 SavingStar loadable coupon to make this deal even better. Don't forget to load the coupon BEFORE heading to Rite Aid! Pay $6.00 plus receive 300 Plenti Points and $3 SavingStar Rebate making them FREE after coupons, points and rebate! Rite Aid: School Supplies only 33¢ Each wyb 3!!! !